Looking for an exciting wildlife photography adventure? 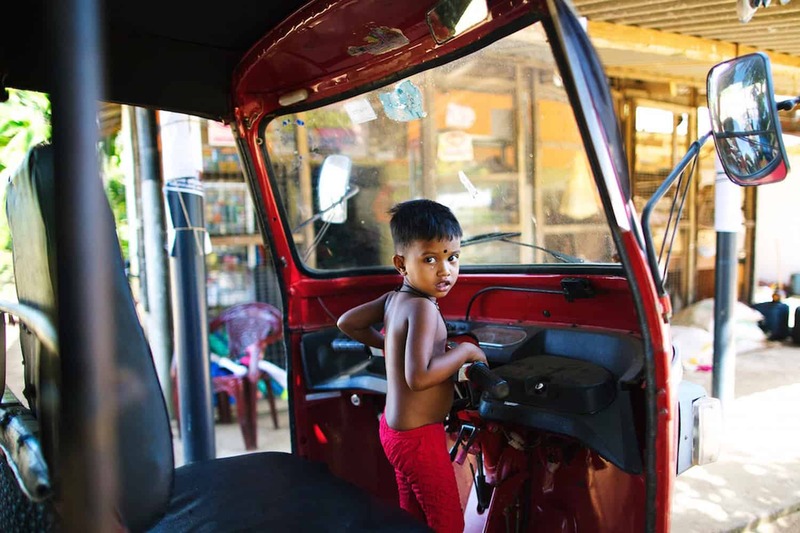 Join our Sri Lanka photography workshop with Lucia Griggi! 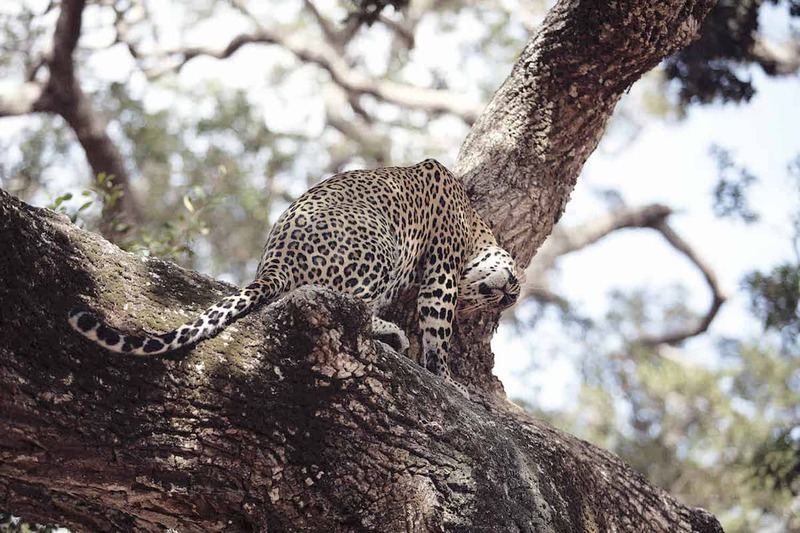 Set in Yala National Park, a stunning jungle with a wealth of animals, this photo safari will offer you exclusive opportunities to learn about wildlife photography and put your skills into practice during daily game drives and walking safaris. 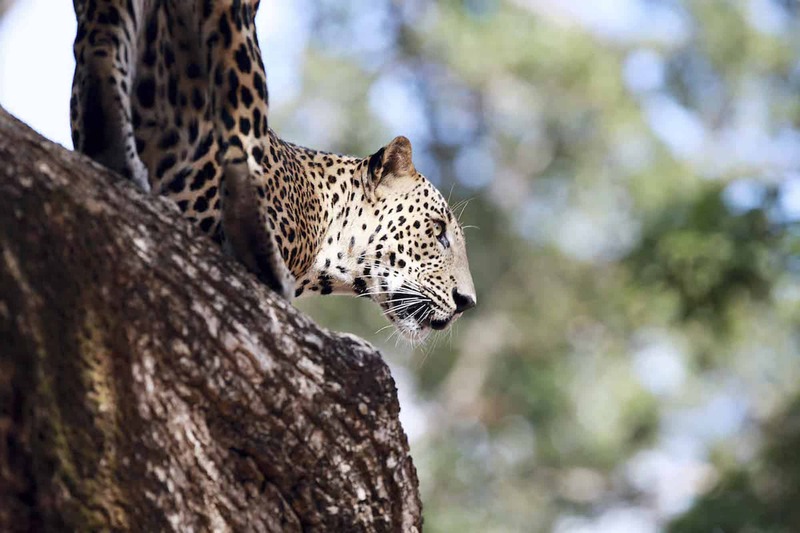 The park, which is home to 215 species of birds and 44 mammals, has the highest density of leopards in the world. These big cats are elusive and visually striking, and our photography workshop is specifically designed to give you the best chances of capturing them on camera. 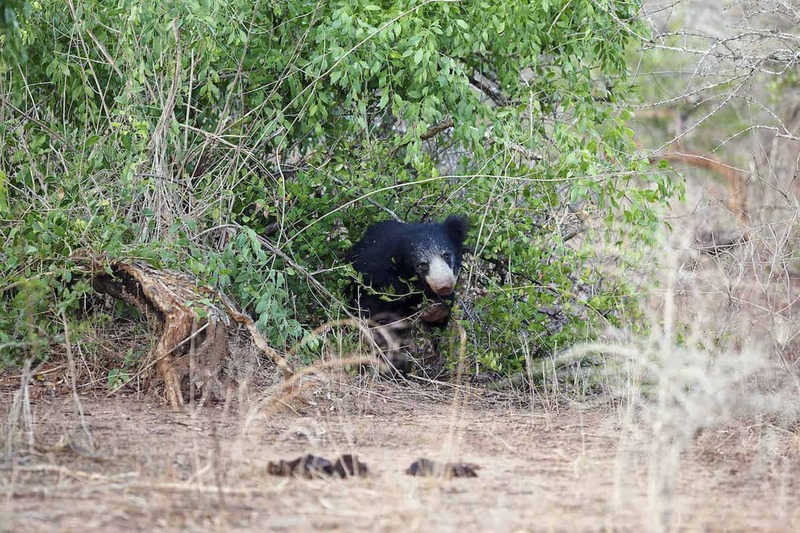 On top of this, you’ll also photograph the many other animals that inhabit the park, including elephants, sloth bears, mugger crocodiles, spotted deer, sambhur, buffalo, monkeys and many exotic bird species. You’ll stay in luxury tents in the middle of the national park, surrounded by the wealth of wildlife, so that you will be completely immersed in the wonders of the jungle. Throughout the experience, you’ll be tutored by award-winning photographer Lucia Griggi, who will help you make the most out of this photographic adventure. As we’ll keep the group size small, there will be plenty of opportunity for personal tutoring, making the workshop suitable for photographers of all levels. Read on to find out more, or get in touch to apply or ask us any questions you might have! During this Sri Lanka photography workshop, we will be predominantly photographing in Yala National Park and wildlife sanctuary, located in Sri Lanka’s southern province. The park’s grounds are a combination of flat plains, grasslands, and lush forests in a semi-dry climate, but there are also waterholes, lagoons, and mangroves. 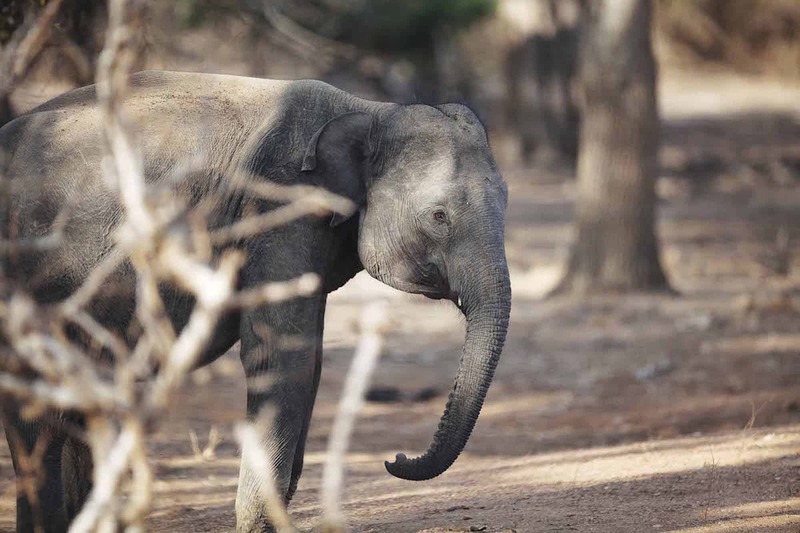 Made up of five separate blocks, sections one and two of Yala are open to the public while the other three are to remain unpenetrated by humans to sustain the local wildlife. 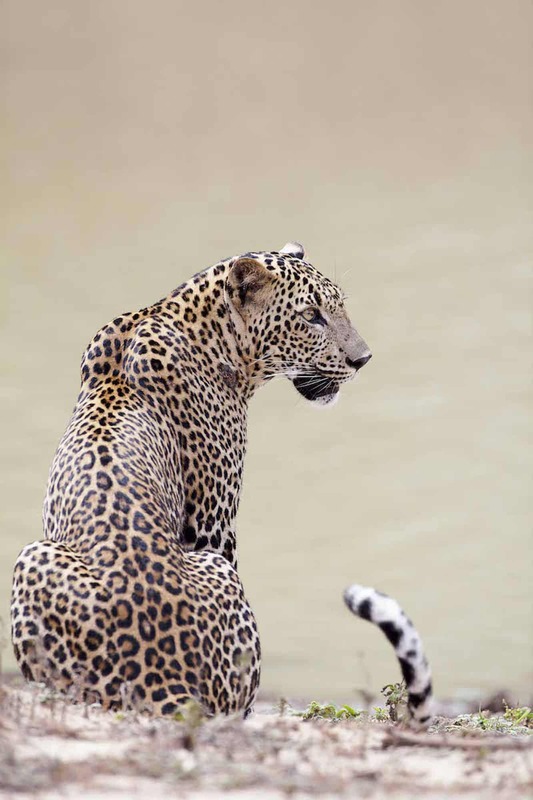 Section one is well known for having the highest concentration of leopards in the world, boasting a total of 35 cats. This number may seem small, but remember these cats are an endangered species. Out of the 215 species of birds that call Yala home, six are endemic to Sri Lanka: Sri Lanka Grey Hornbill, Sri Lanka Junglefowl, Sri Lanka Wood-pigeon, Crimson-fronted Barbet, Black-capped Bulbul, and Brown-capped Babbler. The herd of elephants in the park numbers anywhere from 300-350 individuals. There are 44 species of mammals, several of them both endemic & endangered: Sri Lankan Sloth Bear, Sri Lankan Leopard, Sri Lankan Elephant, and wild water buffalo. Furthermore, there are 46 species of reptiles, five of them endemic to Sri Lanka. These incredibly unique species can be seen nowhere else, making this expedition so alluring to photographers. This Sri Lanka photography workshop is specifically focused on wildlife photography. We’ll spend the majority of our time in Yala National Park, where we’ll have amazing photographic opportunities during our game drives and walking safaris. Expect to encounter leopards, plenty of elephants, several deer species, monkeys and crocodiles. The park is also bird photography heaven, with hundreds of exotic species. We’ll make sure to spend plenty of time at each sighting, giving you the opportunity to take the best possible pictures. Both Yala National Park and our drive there present some great landscape photography opportunities as well, and we’ll make sure to explore these fully. In addition, a visit to Sri Lanka would not be complete without us learning about the country’s welcoming local culture. We’ll visit several local communities, where we can meet Sri Lankans, learn about local customs, and photograph this colourful culture. Lucia Griggi will be tutoring you throughout this photo tour, helping you become the best photographer you can be. Lucia will provide both theoretical photography sessions, teaching all the basic technical skills, and practical support during all game drives and expeditions. There will also be plenty of time for reviewing everyone’s work, and working on post-production. Since there is enough time for one-on-one instruction, the workshop is suitable for photographers of all levels; whether you’re a beginner or a pro, you’ll have the opportunity to gain valuable new skills. 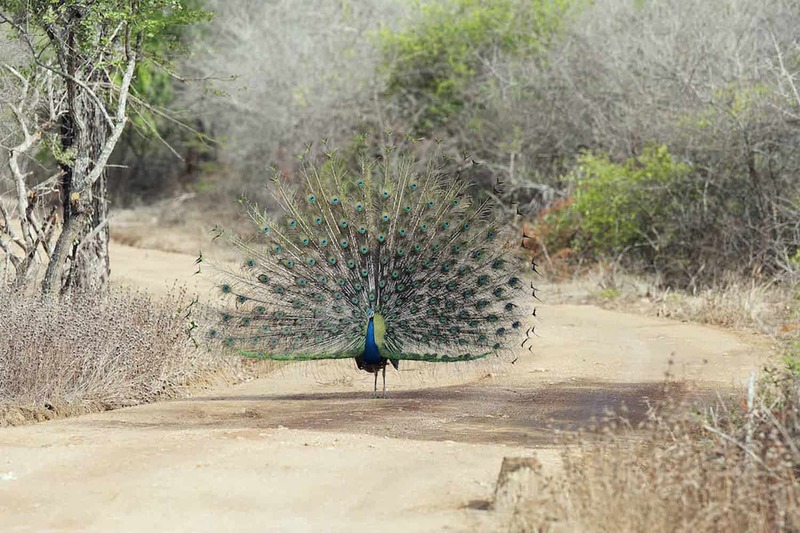 After arriving in Colombo, you’ll be transferred straight away on a scenic drive to Yala National Park. There, you’ll meet Lucia Griggi and your safari guide, Milinda De Silva. 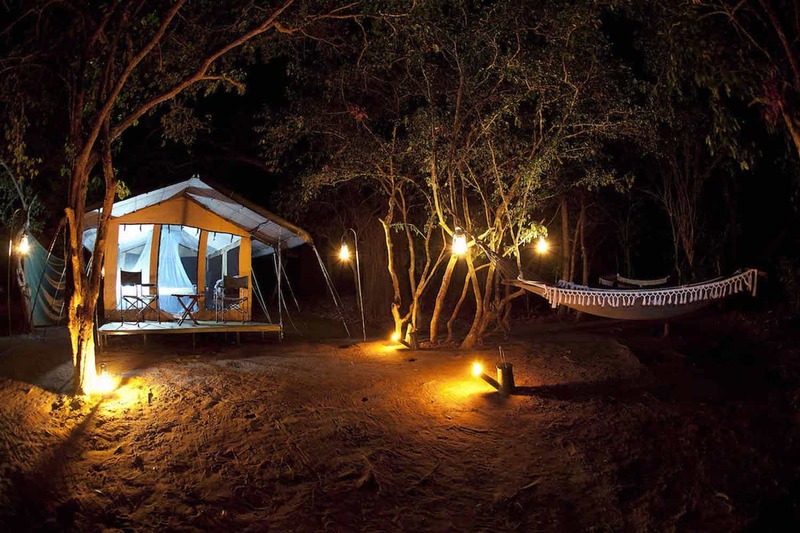 The evening will be spent relaxing and settling down in the luxury safari camp. Orientation and brunch will start the day off right as everyone gets to know one another. Your first visit inside the park will be in the afternoon, after everyone creates a plan for shooting together. The rest of the day will be spent shooting away – the park is teeming with wildlife, so there will always be something new and interesting to photograph. You will take part in an all-day wildlife photography expedition. Waking up before dawn, you will take a jeep ride to the nearest water hole for sunrise. 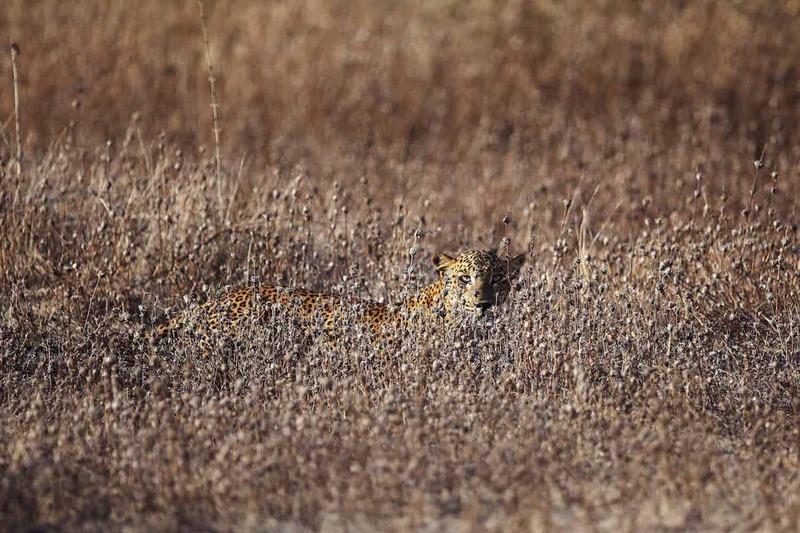 This is prime time to photograph leopards, who are oftentimes by water holes as the sun is coming up. These early hours are the perfect time for predator encounters and dramatic predator action. Furthermore, you will get to experience the uneasy peace between animals sharing the water source. However, the relative calm is sometimes broken by the circle of life. Sunrise in Sri Lanka is magical, and activates the Yala jungle in a different way from night. 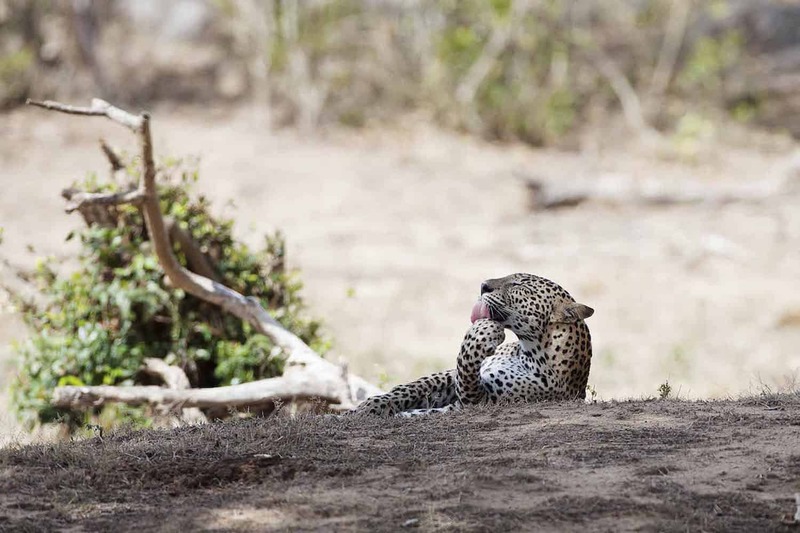 The morning stalk for leopards will be briefly interrupted by a brunch – either a picnic in the jungle or a return to camp. During the warmest and brightest parts of the day you will have time to relax and recharge. When the light is harsh, animals are at rest, so we won’t miss photographic opportunities for down time. 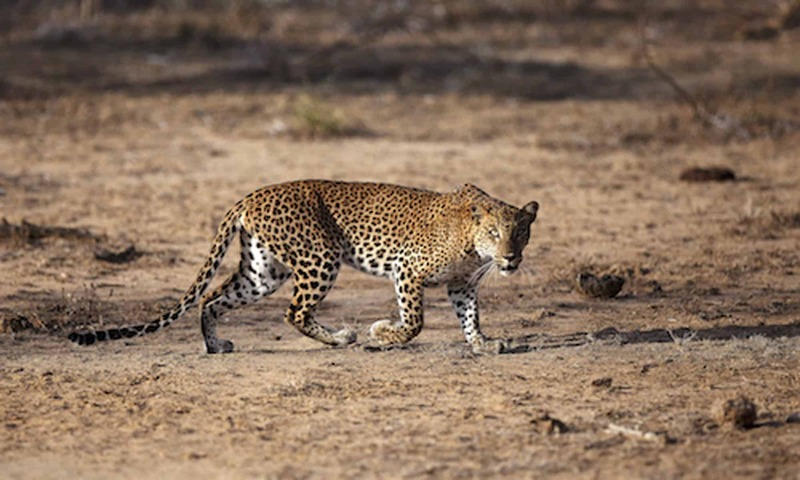 The majority of the day will be spent driving the dusty roads of Yala – watching for leopard, elephant and whatever wildlife is out for an afternoon stroll. In the evening, there is a return to the water hole to coincide with the habits of leopard, and then a return to camp for dinner, editing, stories and luxurious sleep, lulled by the sounds of the jungle. Day four will be similar to day three with one notable difference – you will be exploring the bush by foot. This opportunity will allow you to get up-close and personal with the local plants and wildlife. All meals will be provided throughout the day to be eaten in the jungle. 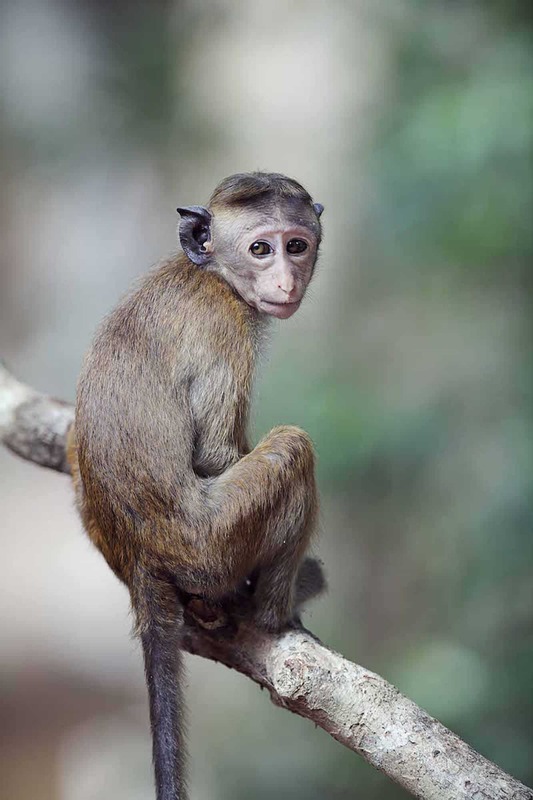 After your days out in the bush, you will have some familiarity with Yala. On Day 5, the guides and drivers will be ready and willing to take your tour group wherever they want to go. 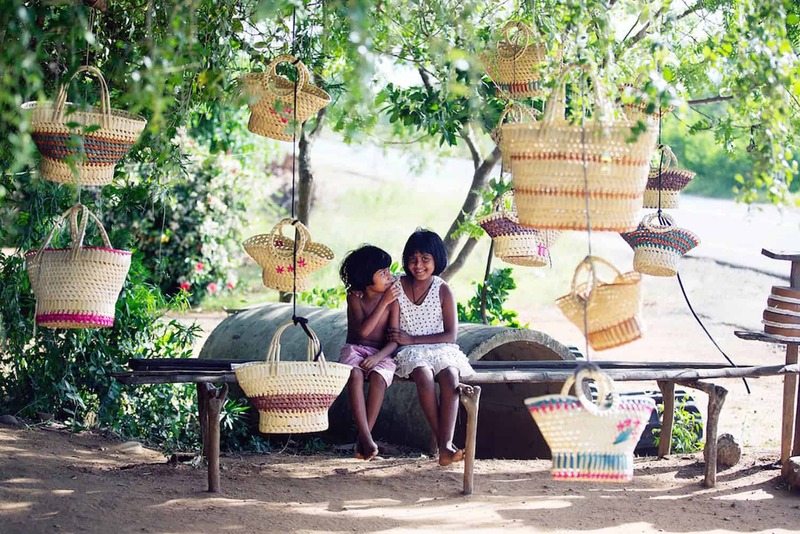 This day is all about you exploring parts of Yala you haven’t yet seen – or want to see again. In the evening you will return to camp for photo critiques and editing. Lucia will review your work at camp and suggest postproduction ideas and techniques. We will wake up before dawn, have a visit to close-by waterholes, and then spend the day in Yala, covering parts of the 378 square mile park that you haven’t yet visited. You will be out of camp all day, and have a picnic lunch in the jungle. You will return to camp in the evening for an (optional) presentation of your most impressive photos, followed by a photo critique. The morning will be spent getting your last shots of beautiful and serene Yala. On your 7th day, you will say goodbye to the friends you have made, the mentors you’ve met, and the gorgeous wilderness. Lucia Griggi grew up in England and Venice, before moving to California in 2010. She has a love for surfing, skateboarding and all outdoor adventure. Her active lifestyle plays a big role in her artistic style. She combines her English precision with Venetian creativity to capture the moment with clarity and wit. Lucia’s work is fresh, vivid and full of energy. Her photography is internationally recognized and awarded by National Geographic, PDN, Windland Smith Rice International Awards, Black and White photography and the Masters Cup. Her career spans a decade, leading Lucia to have endless stories about the pleasures and perils of life as a nature photographer. She is thoroughly modern, with a classic taste in her work that comes from her Venetian roots.